Super Hero Boy: Infantino's Annabel Karmel baby food making line is simply amazing! Infantino's Annabel Karmel baby food making line is simply amazing! Infantino's Annabel Karmel line of baby food making accessories quite started us on an adventure in baby food making that with all honesty turned our failure to thrive baby totally around and put him on track and back on the growth chart. Several months ago Dylan got really sick, and ended up in the hospital for obsessive vomiting and no desire to eat. I the end he was diagnosed with malabsorption, failure to thrive, and he just continued to drop weight and loose muscle mass no matter what I fed him. That is until we got the line of baby food making equipment from Infantino's Annabel Karmel line. I immediately got to work making the recopies included with the products and on Annabel's website. Quickly though I added my own recopies and I've heard nothing but praise from my doctors, specialists, and physical therapists as you can honestly see the difference in Dylan almost from the first week I switched his diet. The Infantino's Annabel Karmel line of baby food making supplies includes everything you need to get started. Though if your just looking to get started or even if your a seasoned baby food maker my two favorite items in the collection are the Freezing Trays and the Mash and Serve Bowl. So much can be done with them even if you just want to save a little money. The Mash and Serve Bowl allows you to easily mash everything from soft fruits like avocados and bandannas (both of which require no other prep for feeding) to steamed, boiled or even fruits or veggies your making for dinner. Quite often I use mine to mash veggies that come out of our soups and stews as well as a bandanna for breakfast! The picture above is the Infantino Mash and Serve bowl with some baked sweet potatoes being mashed. They are Dylan's favorite food and so easy to make. You can microwave them then mash them as well. 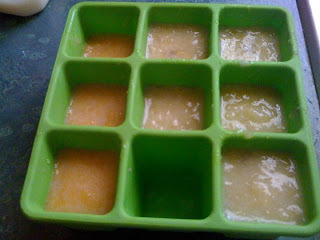 The Infantino Freeze Trays are my favorite product from the collection though as they are just so useful even past making baby food. 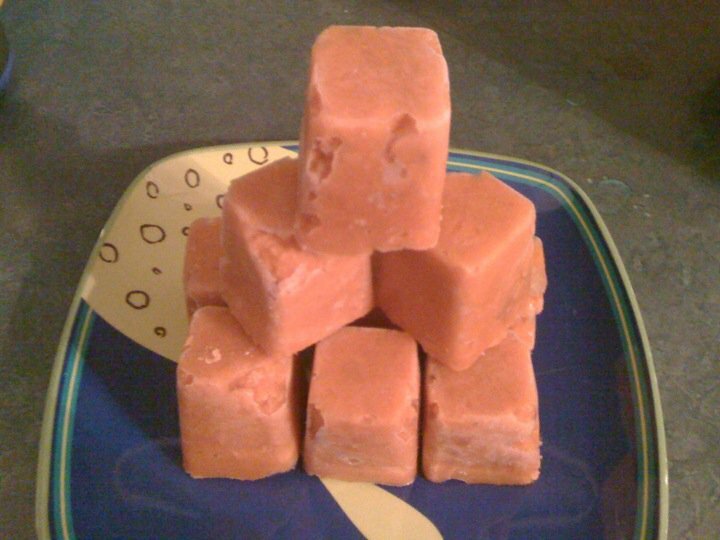 The perfectly freeze 1oz cubes which then you can easily pop out of the tray and serve or pop them out and store them in ziplock containers so you can free more in your tray! This tray was full of fresh peach baby food and peach and cereal baby food. You can easily add cereal to almost any fruit or veggie and freeze it with no problems. Actually the only foods we have had problems freezing are avocados and bandannas, though I have had luck freezing bananas if they are mixed with other fruits. 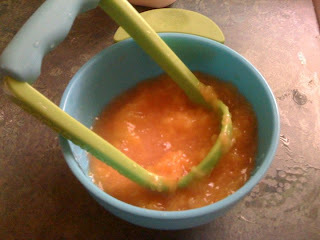 We plan on using our baby food making skills way past the infant stage as well. I have already learned I can easily add carrot baby food to spaghetti sauce without my three year old (or husband for that matter) ever knowing the difference. Cauliflower also is easy to add to things like applesauce or soups without anyone knowing any difference. You can check out the entire line of Infantino's Annabel Karmel baby food making accessories on the Infantino website. I'd love to share this adventure with one of my readers so I'm giving away a Mash and Serve Bowl and a Steam Release Micro Dish to get one reader started!! Leave a comment on this post. Just check out the Infantino website and let us know what item from the Annabel Karmel baby food making accessories you'd most like to try. This contest will end December 31st at midnight! I would like to use the freeze tray. Thanks for the great giveaway! I would try the Annabel Karmel Make It Easy Fresh Food Mill. I like the Fill & Freeze Puree Pops. Thanks! I'd love to try the fresh food mill. I'd love to have the Fresh Food Mill. It is much more affordable than some electrical options and I love that it is BPA free.